Now it’s very common to see many people like remote control aircraft , and there are more and more newbies start with it.So I'd like to give some ideas and suggestions on flight equipment to you, hope it can do some help. In the case of without abundant money, it is recommended that you can DIY an aircraft yourself, and DJI is the best choice for beginners. 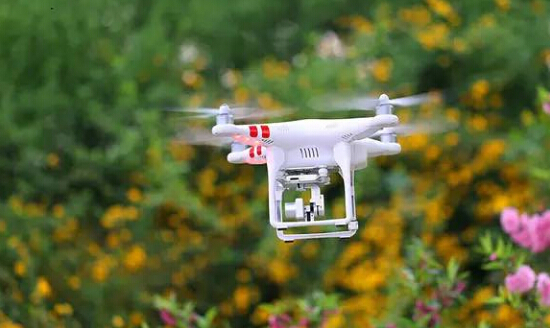 For example, I can fly with APM open source control system to the average effect of the DJI control system,but it requires strong handling ability and secondary development of software ability. If you think it’s too troublesome, you can choose commercial finished-product flight control system. If you want to be engaged in commercial fly tasks, then the first thing to consider is the reliability when selecting the aircraft, and prices is the second thing. In the context of current price of the aircraft, if you want to play in entertainment level, then you need to prepare at least ￥5000-5000. Don't just look at the price of the aircraft, but pay attention to its incidental consumption, such as batteries, etc. First of all,you need to make it clear that fly as a hobbyist or fly for commercial use? If you just fly for entertainment, there are many choices for you. If it is commercial, then the vital point is the reliability of your aircraft. Compared to helicopter, multirotor is just easier for starting, as for whether you can fly good or not depends on your own.And reliability, there is no 100% completely reliable device, at this point, you need to fly frequently to improve your own skill, maintenance the device regularly, which can effectively minimize the accident probability. For what multirotor aircraft you should choose, if you are a hobbyist, I suggest to choose quadcopter, it can fly flexibly, take photos and video, it’s good for fun.If you want to make commercial aircraft photography, then you can decide to choose the devide by what camera you will use and the take-off weight. A reliable remote control device is one of the guarantees of your safe flight. You can choose the world's three largest remote control device:Futaba, JR and Sanwa, and these non-mainstream remote control devices Hitec, Graupner are also very reliable. Now it’s the era of lithium battery, so we don’t talk about the related knowledge about Nicd and NiMH battery at present. 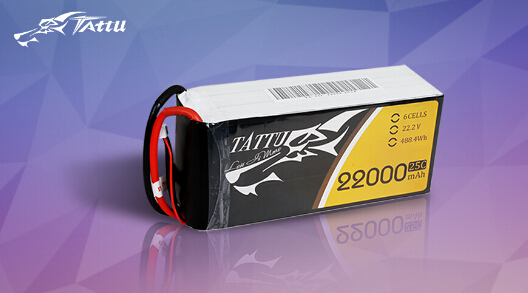 Lithium battery is generic terms, the common lithium battery including Lilon battery, LiPo battery 11.1v 2200mah and LiFe batteries. It’s very common to see LiPo and LiFe battery in the remote control model. For example, the most popular electric cars-TESLA,equipped with more than 7000 pieces 18650 encapsulated Lilon battery. Our aviation model use LiPo batteries most, which has 4 basic parameters:the battery voltage & how many cells, battery capacity, continuous discharge ratio, and charging ratio. The battery voltage general use "V" as the basic unit, a single LiPo battery’s voltage is 3.7 V, if it is in series connection, then the total voltage of battery pack=single cell’s voltage * series connection cells amount.The series connection cells use”S” as basic unit,for example:6S means 6 cells in series connection,so total 22.2V. Battery capacity general use"mAh" as the basic unit, a larger capacity battery,its discharge time will correspondingly increase, but volume and weight also increases. Continuous discharge ratio is used to describe the maximum discharge capacity of a battery, generally use”C” as the basic unit, then the maximum discharge current, the maximum discharge ratio is related with the battery capacity.The calculate method is: discharge current (A) = battery ratio C X [battery capacity (mAh) / 1000 ], such as a piece of battery’s capacity is 5000 mAh, continuous discharge ratio is 45 C, then the battery maximum discharge current is 225 A. Somebody said: "A device with 25 C batteries can be normal used, but it will burn the ESC when use 35 C batteries", this statement is wrong. The system total current depends on the overall system load and fixed consumption, so it has nothing to do with the battery, the battery parameters only describes the discharge capacity of a battery, but not to say that once you connect the battery, then the battery’s maximum current start output. Therefore, choose a battery depends on the the whole system’s requirement, and match the parameters according to the system’s requirement. On the market, the battery quality and price is various, here I would recommend our hobbyists choose battery with big brands and high reliable like Gens ace 2s lipo, Hyperion and so on. For myself, I use Gens ace & Tattu batteries, who with high performance, excellent quality and terrific after-service. They are worthy of recommendation,more about batteries:http://www.genstattu.com . Above are the choose of fly device I recommend, I wish you have a good time.